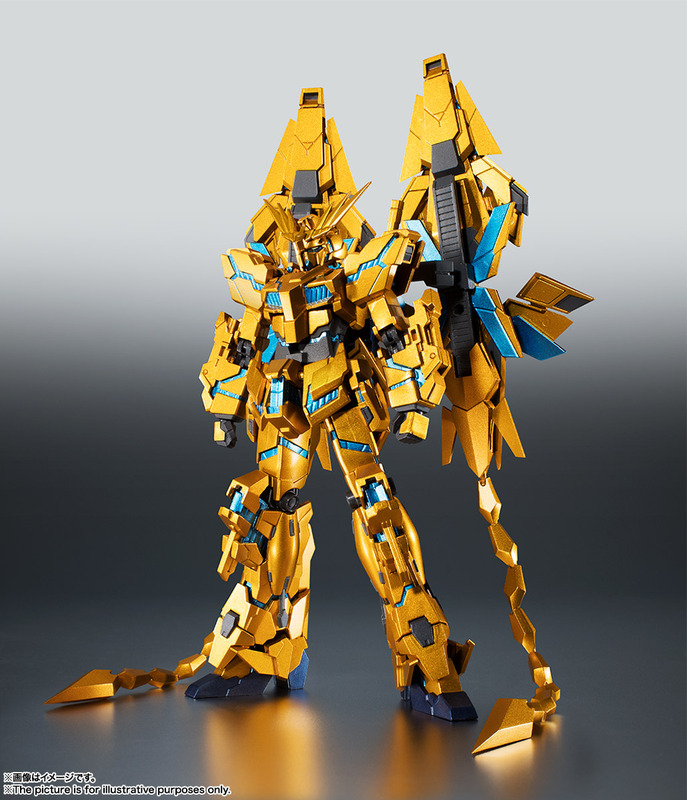 Bandai Robot Spirits RX-0 Unicorn Gundam 03 Phenex (DESTROY MODE) Narrative Ver. 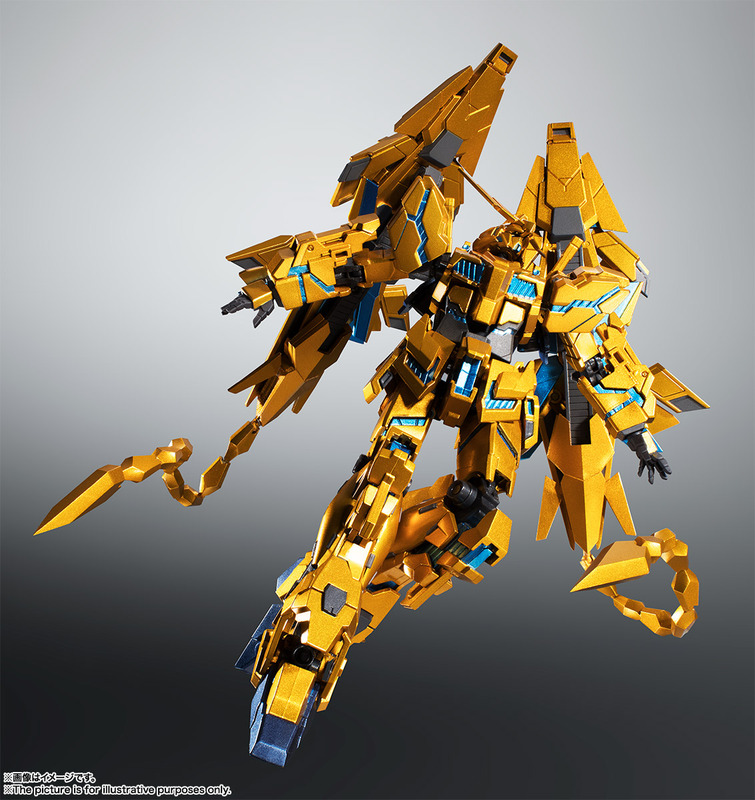 "Mobile Suit Gundam Narrative"
Home > Action Figures > Bandai Tamashii Nations > Robot Spirits > Bandai Robot Spirits RX-0 Unicorn Gundam 03 Phenex (DESTROY MODE) Narrative Ver. 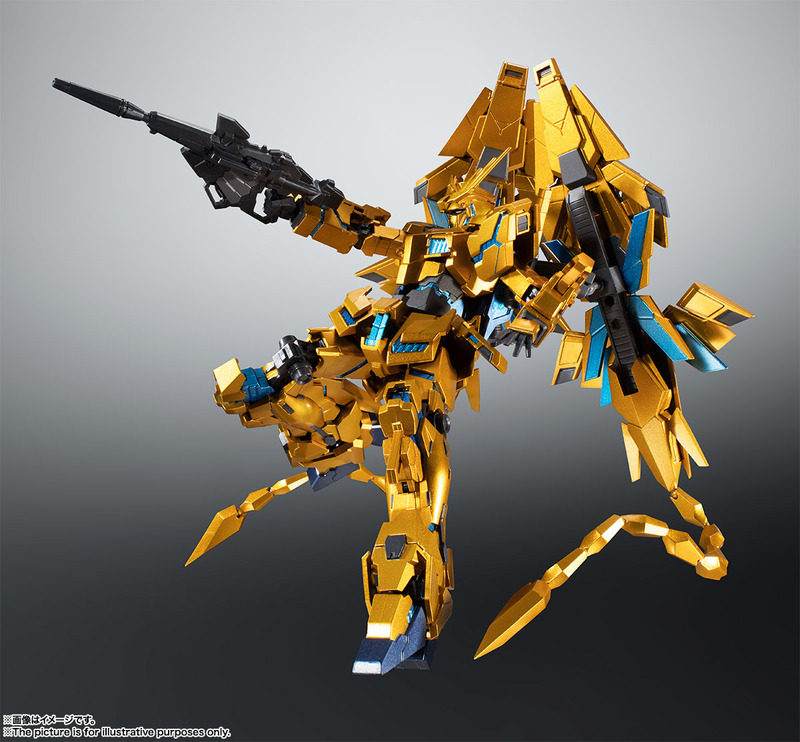 "Mobile Suit Gundam Narrative"
The RX-0 Unicorn Gundam 03 Phenex (DESTROY MODE) joins the Robot Spirits series! The Armed Armor DE includes the stabilizer plumes, which incorporate internal wires to allow for posability. The entire figure is painted, giving the psycoframe a gloriously vibrant hue. 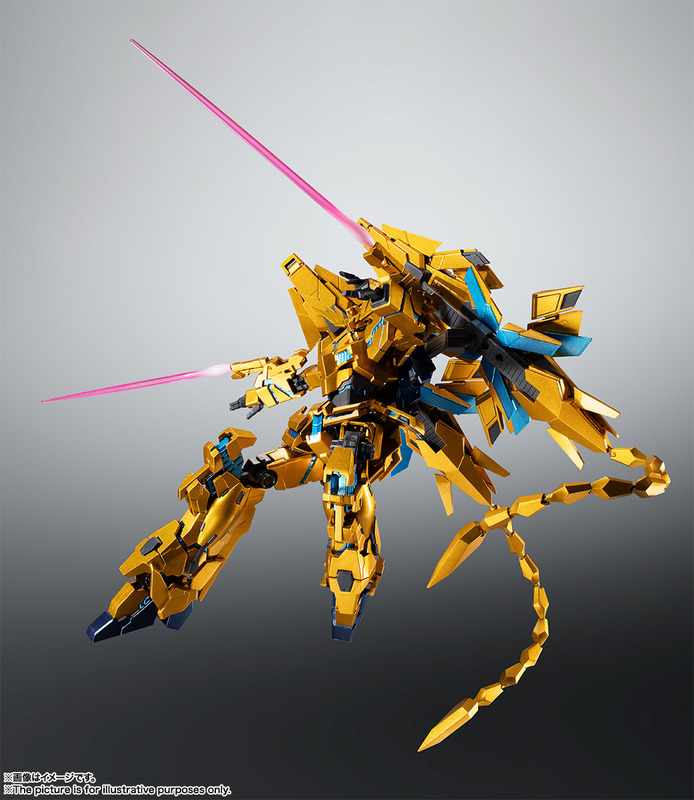 The set includes an optional antenna, three pairs of optional hands, two beam sabers, a beam magnum, two beam saber hilts, a backpack, Armed Armor DE (open), a display joint, two shoulder joints, two Armed Armor rails, two stabilizers, and two tail parts. Robot Spirits Master Gundam "G Gundam"